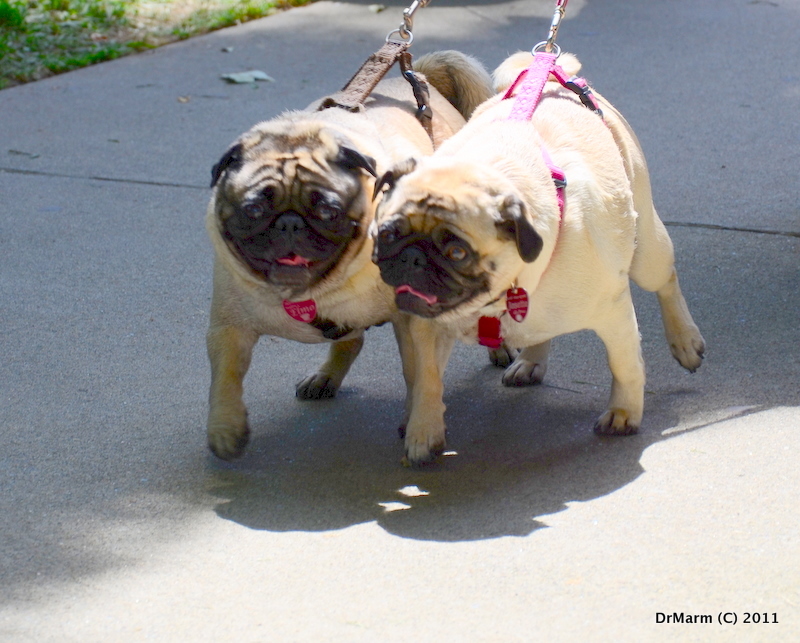 Two weeks ago I got a little time to visit the Petapalooza in Citrus Heights (near Sacramento). 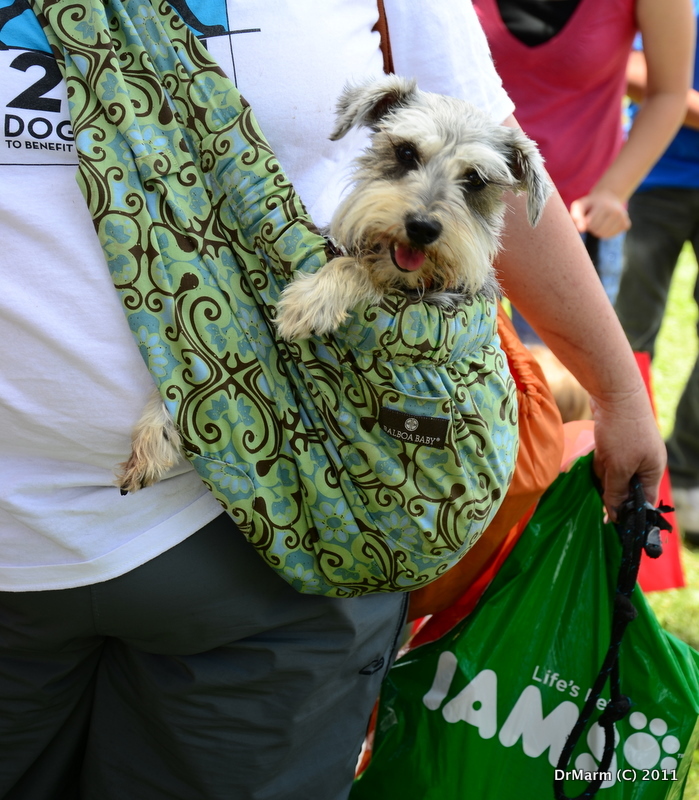 This event was free to the public and welcomed dogs, birds, horses (pony ride…) bunnies (for adoption) and people. 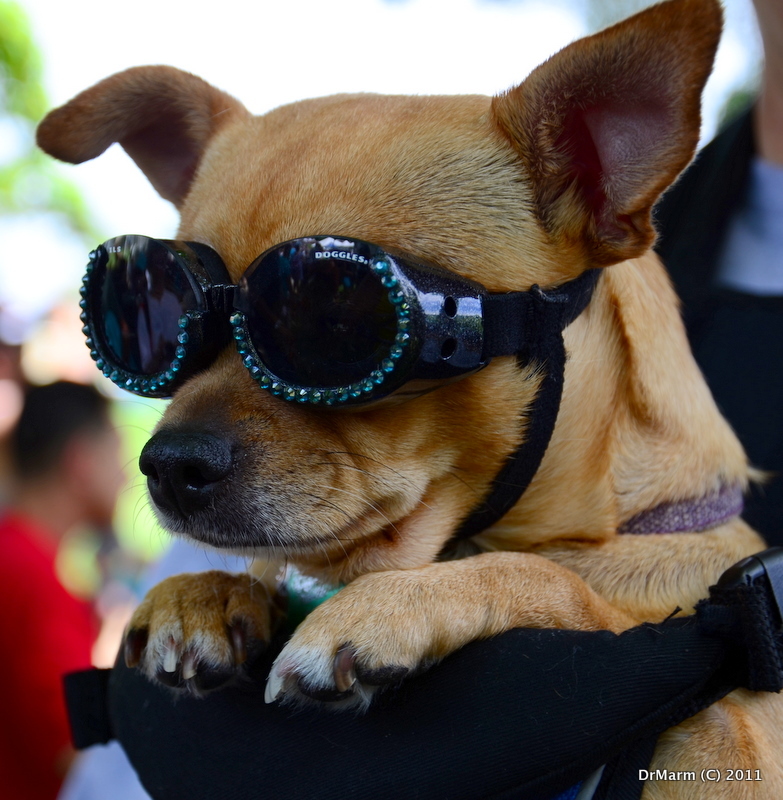 Not all dogs had to walk–some health reasons, but love involved no matter what–IMHO! 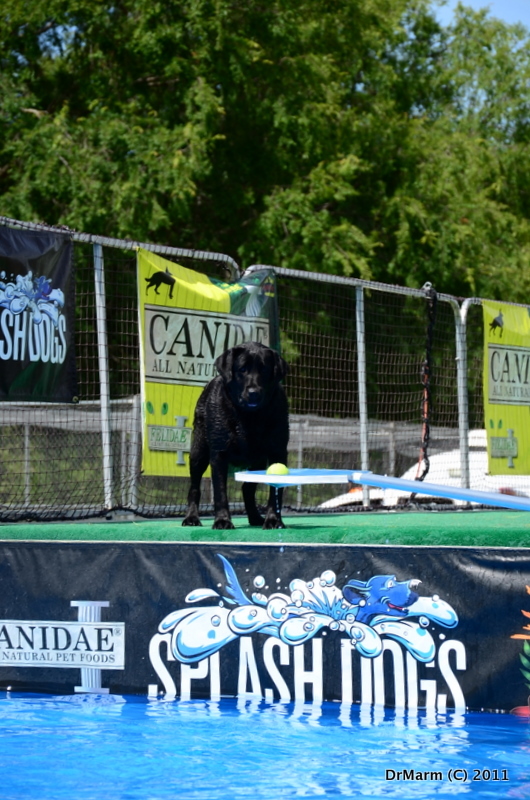 One of my favorite events were the “Splash Dogs” having attended last year, I knew where the pool was and took off as soon as we entered the park. 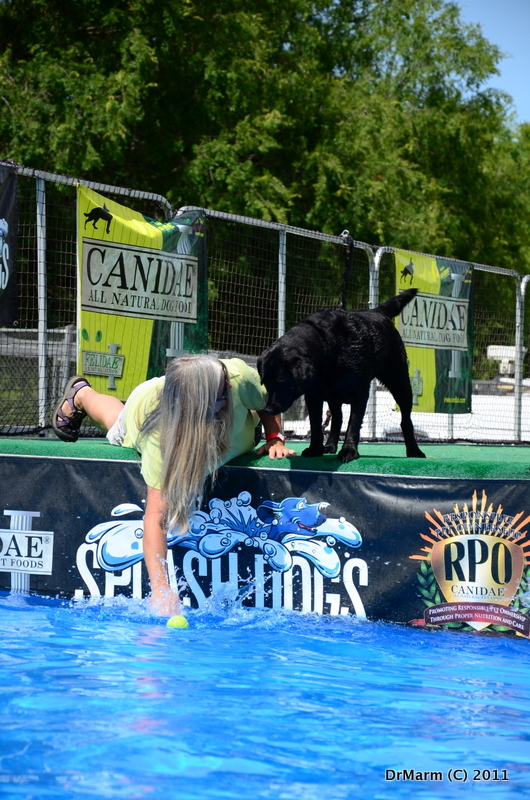 I learned that The Splash Dogs were actually competing in Reno, NV. So, the Citrus Heights Canine Unit was showing their leaps and bounds and the general public could pay $30 for their dog to leap off and into the water. 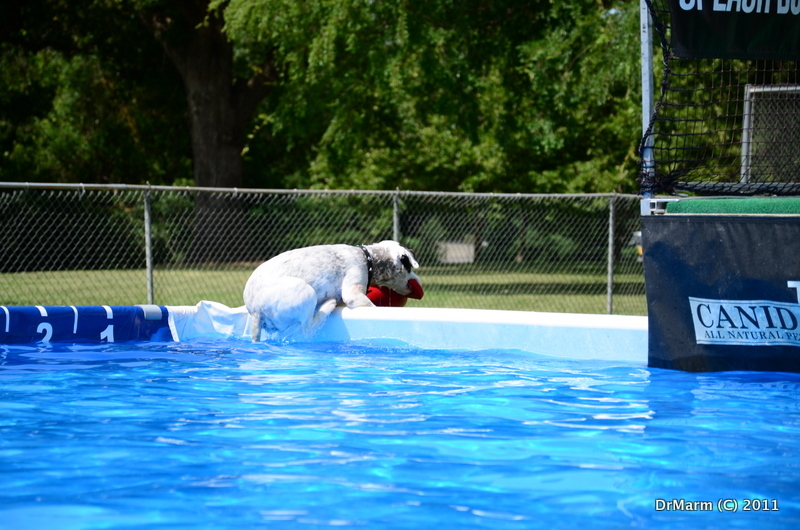 This first dog was a star and absolutely fearless–into the air…got ball…and found own exit out of the pool–no interest in using the ramp that was available. 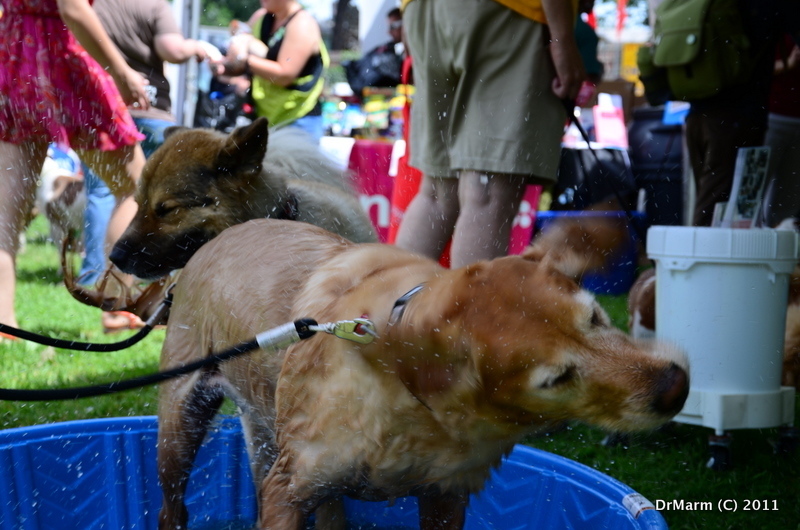 An important part of taking your dog to events is making certain they are well cared for and have lots of water. 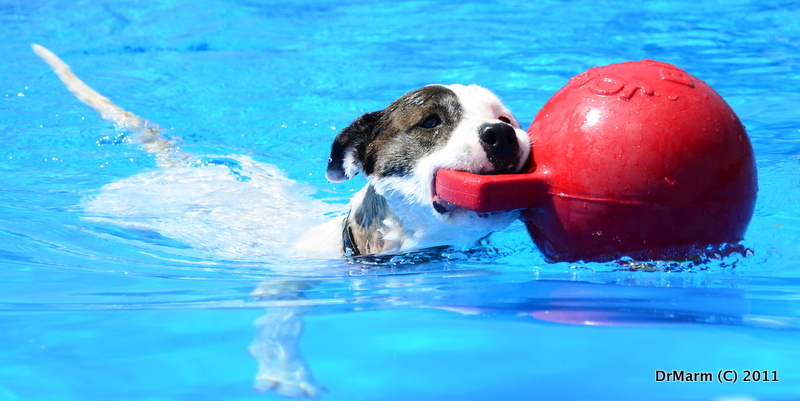 When out of the water…dogs do what they do…shake! 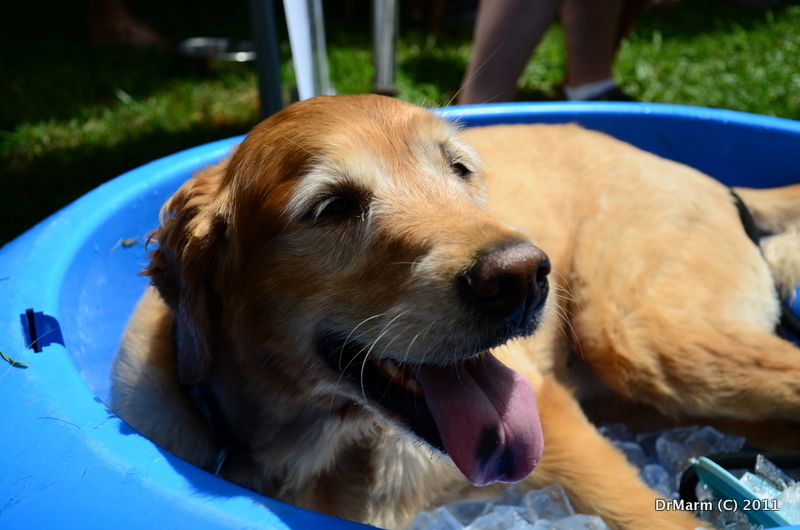 A favorite moment we have recreated at home is the kiddie pool–full of ice. 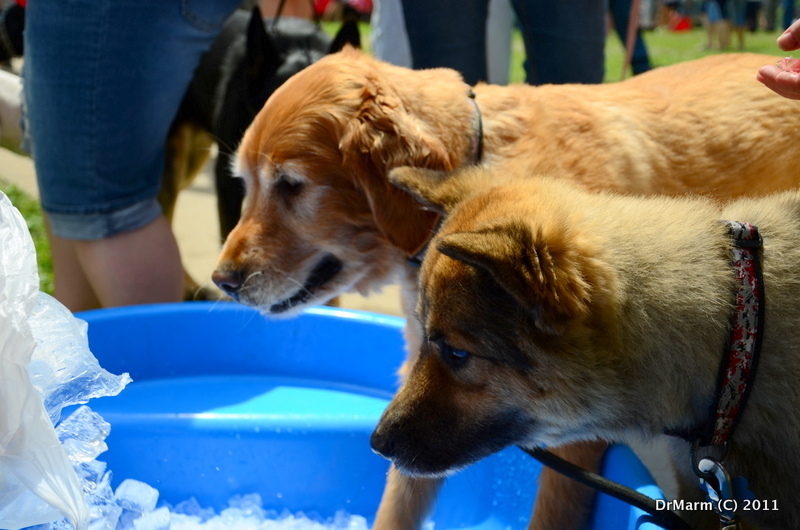 Got to see the dogs love it at the event, so have done it at home to help get through 105 degree days. 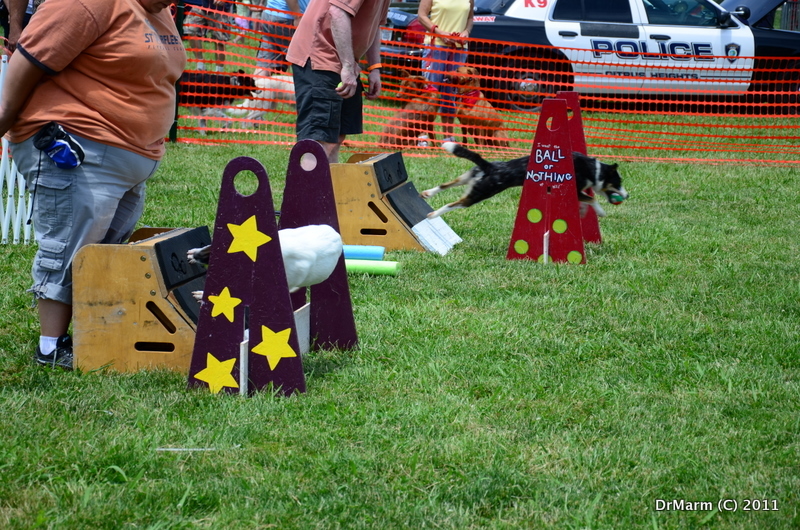 Another awesome event was watching The Relay Races–these dogs were so focused, I couldn’t believe it. The noise from the crowds was loud–but they were on a mission. Run down, jump over the hurdles–get the ball and come on back doing the same thing. 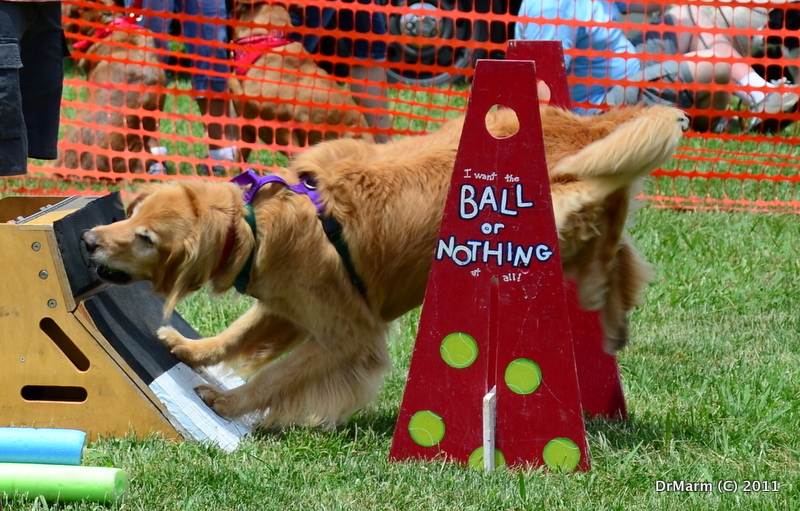 One thing that surprised me was that there was a larger dog that was able to compete and did well! This entry was posted on June 28, 2011 by DrMarm. It was filed under Uncategorized . Terrific captures . . . what fun! Wow! Looks like a fun event. Awesome images! 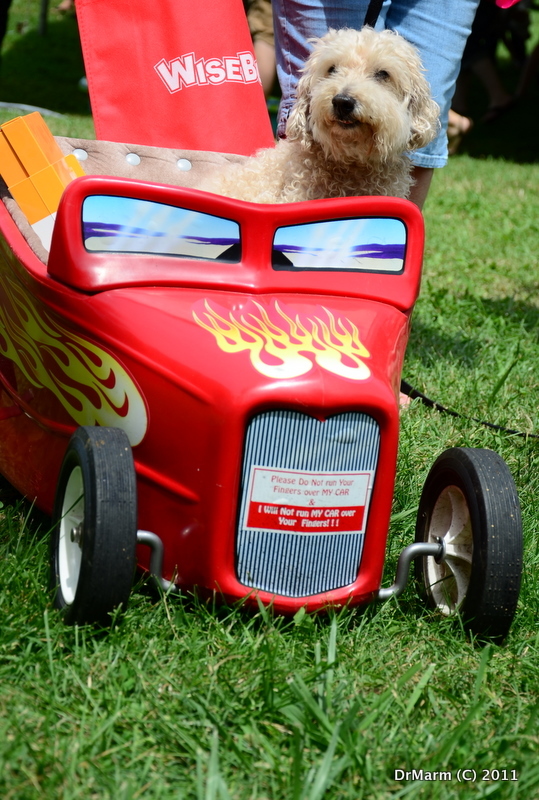 You really captured the character of each dog you photographed. Every image brought a smile to my face. 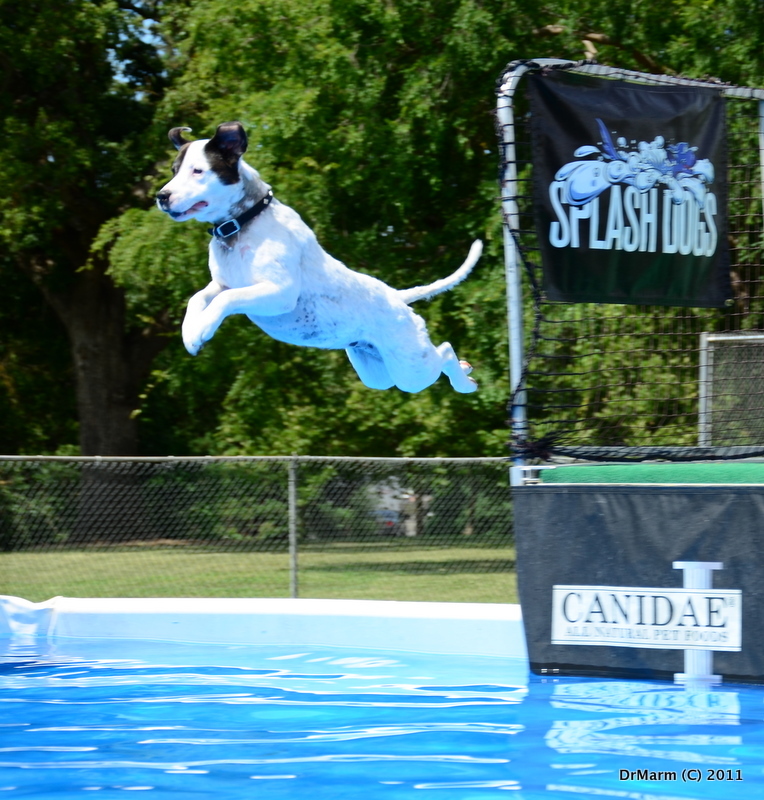 Love the fearless “Splash Dog”. 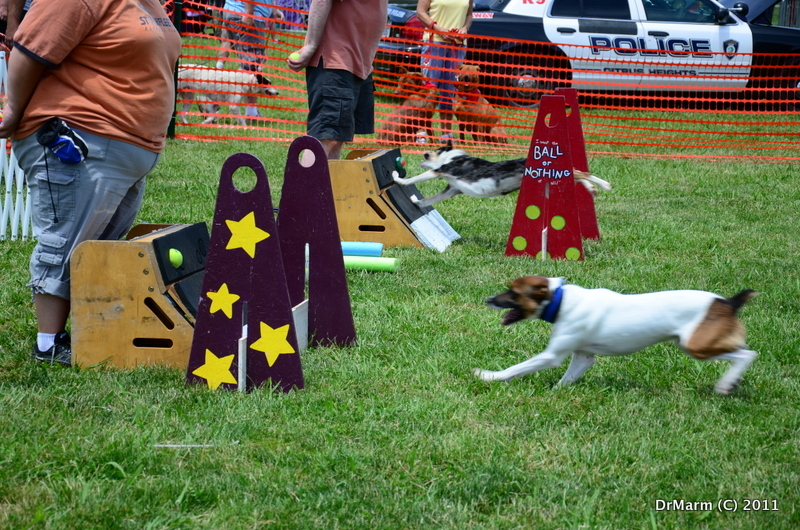 Were your dogs in attendance?